In this short tip I am going to post a PowerShell one-liner from my list of extremely useful one-liners. It can get the the credentials of the IIS application pools identity. 1. Imagine that you will do a remote work on customer where you have only temporary access and credentials. 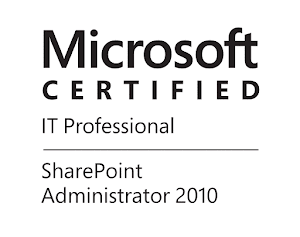 Many times the account that is provided is Farm Admin, has local admin permissions on the SharePoint boxes, however it does not have permission to use PowerShell against SharePoint(no Shell Admin). You can use this short PowerShell script and get the Farm account(STS is running under it), many times it is left in the local admin group and you can log in with it and do what you need to do. Not a best practice, but it is a massive time saver. 2. Imagine that you are working on issue where you need to restart the User Profile Synchronization Service instance and you need the Farm account password. You can get it with this script. In order to use it you will need to have local admin permission. I can confirm that it is working on IIS 7.5,8.0 and 8.5.